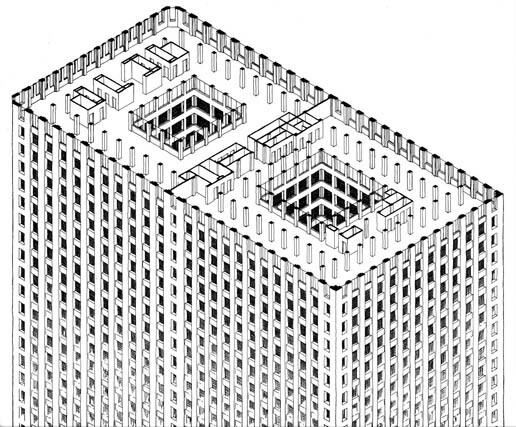 Randal Birkey created this pen and ink line drawing in an isometric layout in order to show an office building floor plan in a three dimensional yet true to scale fashion. This image was used for self-promotion as an architectural illustration portfolio piece in the 1980’s. The original art was produced using Rapid-o-graph ink pens on smooth, 20″ x 30″ cold press illustration board.